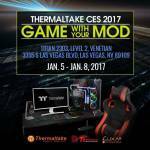 The age old debate on do ‘Gaming’ peripherals actually help your game or are they just a gimmick? Personally, I believe they help when they are designed and built to certain standards. These days there are a lot of fake/cheap gaming peripherals just using the ‘Gaming’ tag to help them sell. 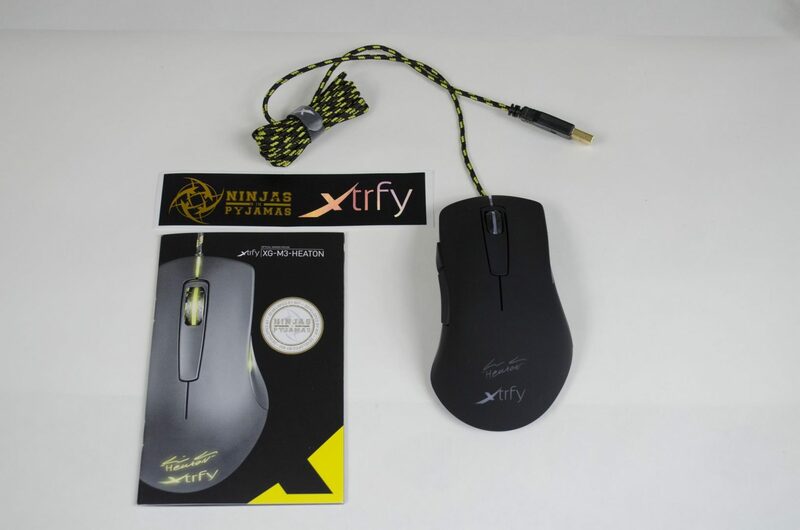 However, companies like Xtrfy actually work close with the eSports gaming community in designing their products so odds are that they are the real deal! 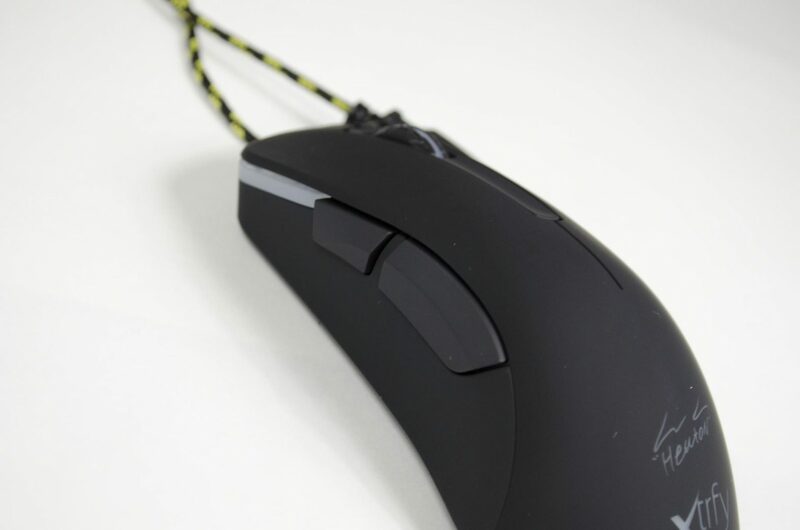 Today, we are taking a look at the HeatoN version of their M3 mouse with the C1 cord holder. For those that don’t know, HeatoN is an 8-time world champion who has been in the professional gaming scene for 15 years. HeatoN is also the founder of NiP or Ninjas in Pajamas, a well-known team name in the eSports scene, especially CS:GO. 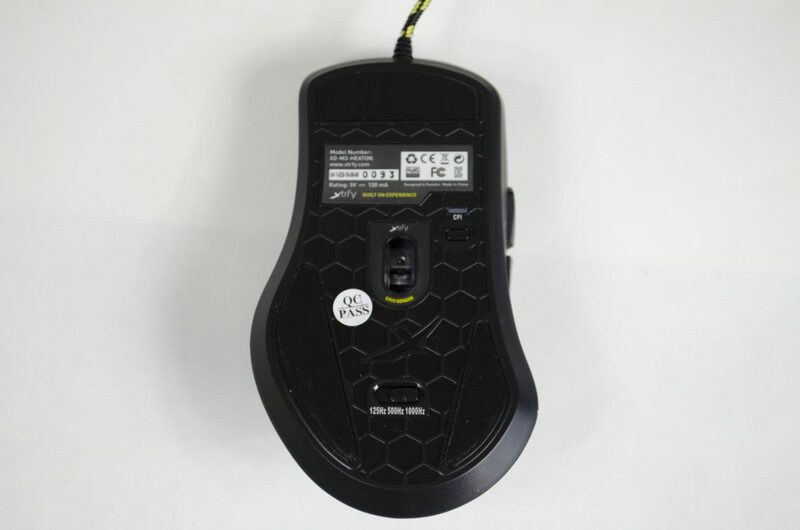 The M3 mouse is HeatoN’s idea of the perfect mouse and as such it features a Pixart 3310 Optical Sensor and Omron switches.The M3 will also allow you to not only change the CPI(DPI) on the fly, but you can also change the polling rate as well with the quick flip of a switch on the bottom of the mouse. 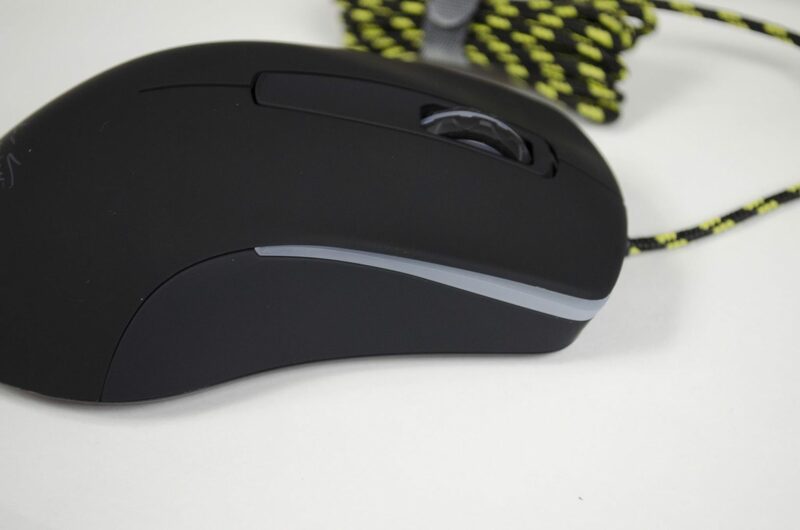 The mouse features an all black rubber aesthetic with yellow LED lighting. 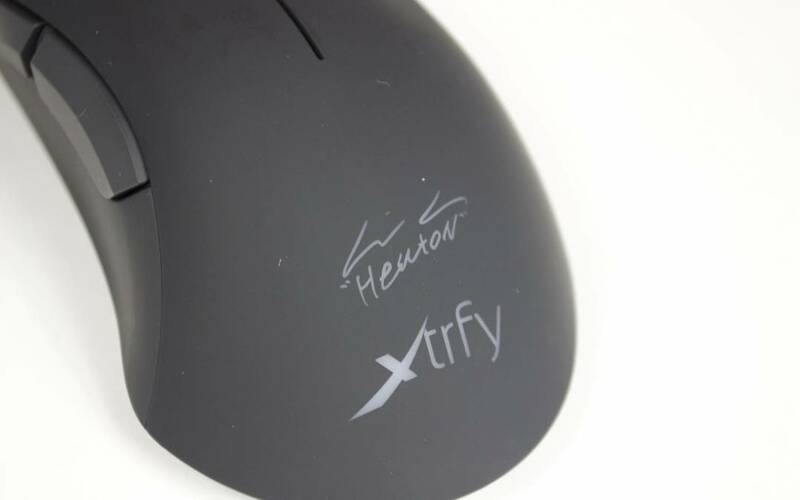 One of the cool features in HeatoN has included his signature as one of the zones that light up on the but of the mouse. 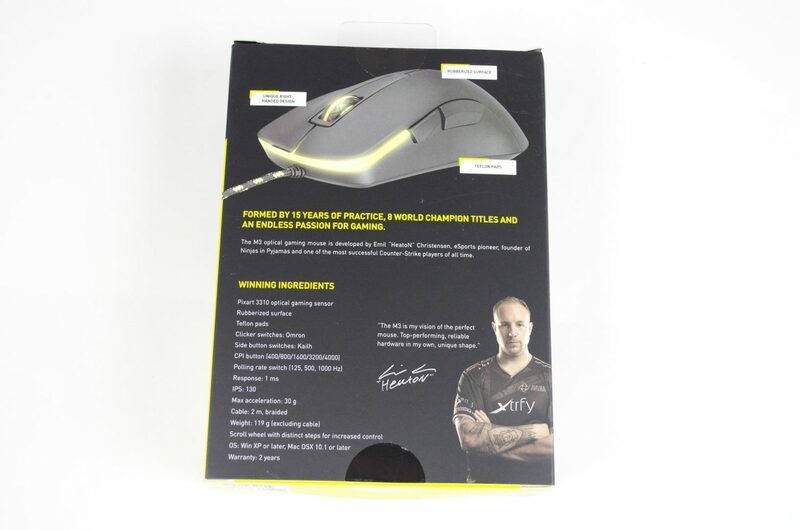 Starting off with the packaging and we even have a picture of HeatoN himself on the front of the box. We also have a nice image of the mouse itself and can see some of the different areas that light up. The front cover is also a flap so opens up and reveals the actual mouse itself, a packaging feature I am always happy to see. 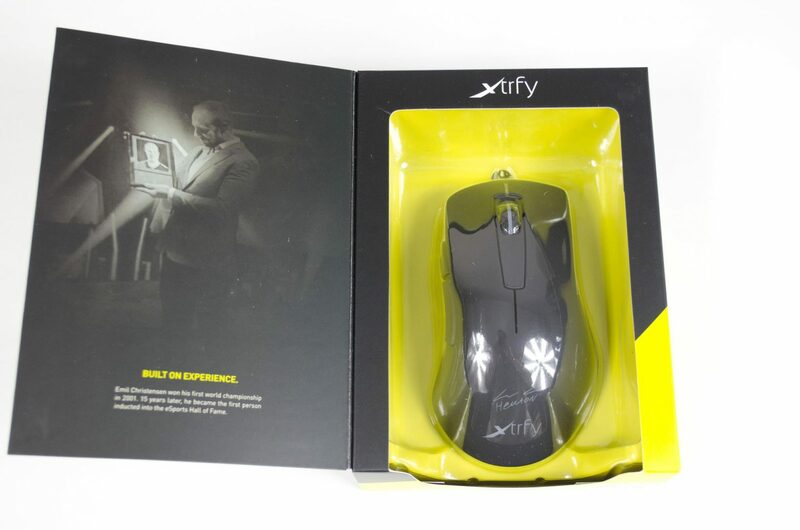 On the back of the box, we have the specifications of the mouse and a small bit of other info on it. For those interested in the LEDs, one side of the showcases these off so users will know exactly where all the places that light up are. Inside the box are the M3 mouse itself, a sticker and the information guide. 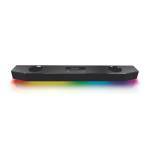 The C1 Mouse Cord Holder is designed to do exactly that, hold the mouse cord out of the way and make sure it is not dragging across your desk causing unneeded friction. The C1 uses magnets to hold it in place but we’ll look at that in a bit, inside the C1 box are the holder itself along with another sticker and the magnets that hold it in place. Most of the mouse has a nice rubberized coating on it. Not only is this comfortable, it also allows you to grip the mouse without having to hold it too tightly. 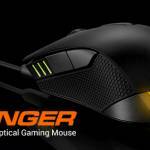 As we can now see this is a right-handed mouse that features an ergonomic design and is quite comfortable to hold. When the mouse is off, the LED areas look as if they are just white writing. On the left side, we have the forward and backwards buttons which feature Kailh switches and we can get a glimpse of the largest LED zone that spans from the left, across the front and over to the right side. 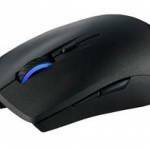 From the but of the mouse into where your thumb will rest is also curved, providing a much more enjoyable feel and experience. Not much going on over on the right side of the M3 but we can see that the LED area on this side goes further towards the back of the mouse than it did on the left. Just one of those small subtle design features that are always nice to see. To me, when I spot something of this sort it just feels like the company spent a bit more time in the lab with the product rather than just slapping a logo on it and trying to make some money off it. Looking from the front we can see the scroll wheel has a bit of design to it which also helps to give it a little bit of extra grip when scrolling. There are a couple of things going on with the bottom of the mouse. 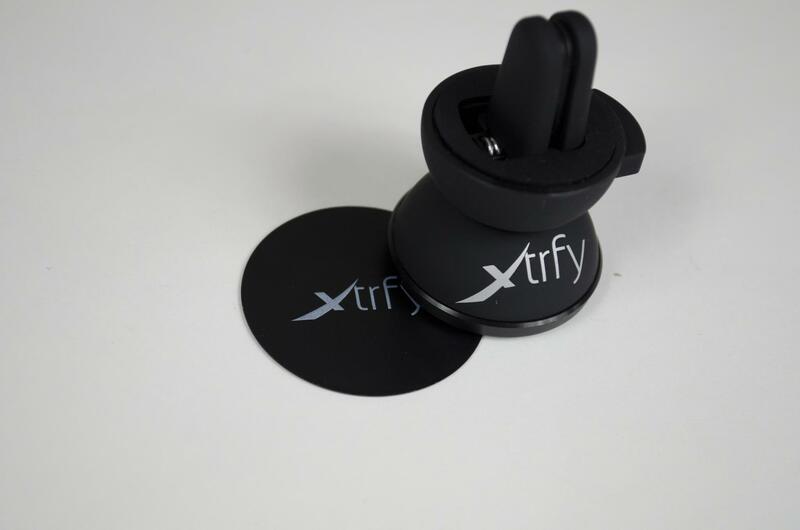 First, we have the nice smooth glide pads that will give users full control over the mouse. Smack dab in the middle is the ‘Epic Sensor’ which is the Pixart 3310 and to the right of that is the CPI button which with a simple push will allow you to choose between 5-preset CPI levels which are 400/800/1600/3200/4000. Towards the but of the mouse we can also see the polling rate switch that lets you switch between 125,500 and 1,000Hz. 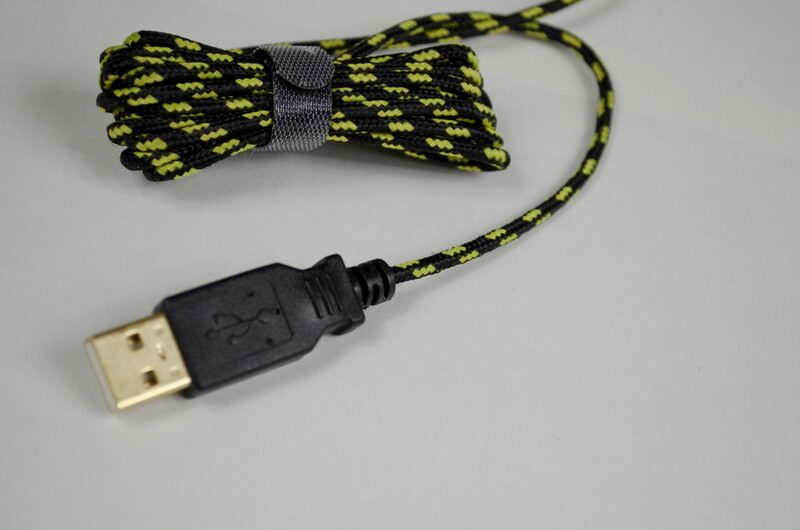 The M3 features a 2 Metre long braided cable which comes with a gold plated USB connector.The mouse is also plug and play and does not require any software at all to get it up and running. Yellow is one of my favourite colours so I was quite excited to get the M3 HeatoN plugged in so I could see the LEDs and boy, I surely wasn’t disappointed. 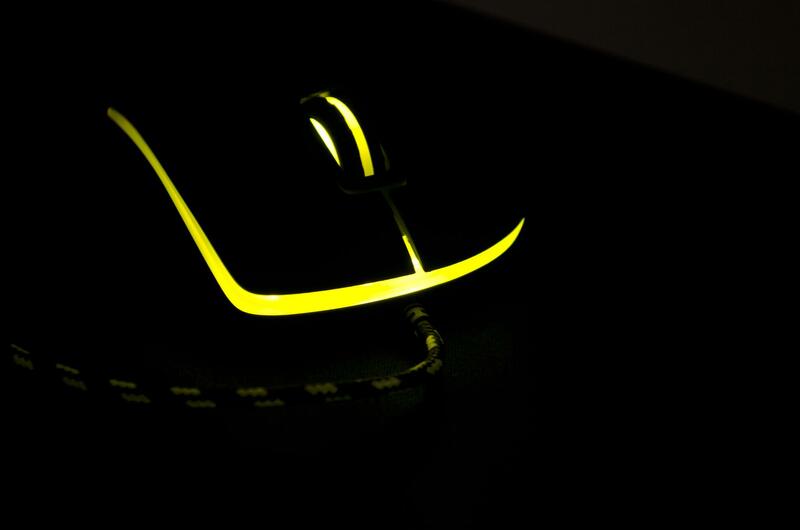 While yellow, which is a bright colour, the lights aren’t overpowering and won’t distract you from your gaming. The C1 Mouse Cord Holder is small and compact and a perfect accessory in my opinion. 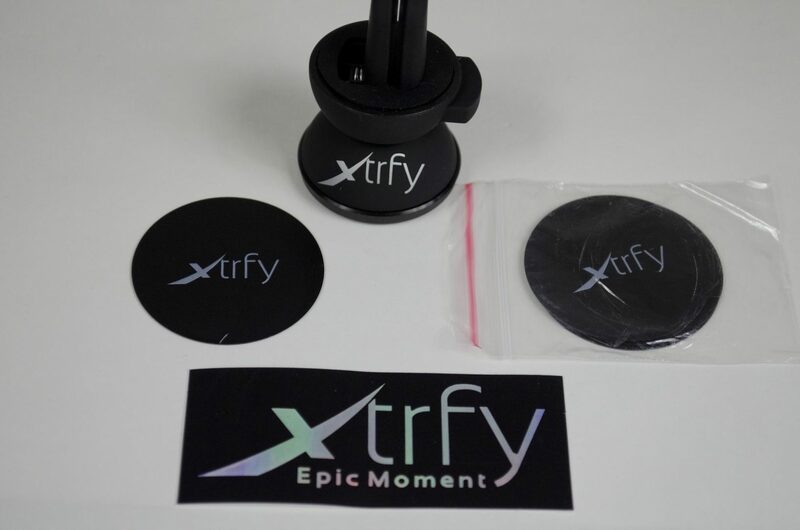 To use it, you take one of the magnets included in the box, stick it to your desk or wall and then just put the actual holder on it and job done. 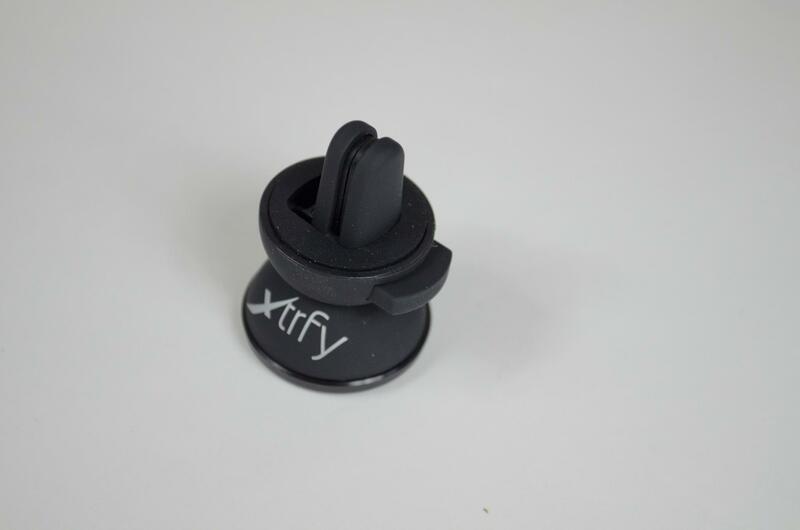 The holder features the Xtrfy logo and is comprised of the same rubberized material the M3 mouse was. To use the holder, simply hit the button on the left which will open it up, put your mouse cord in then manually close the holder, it’s that simple. 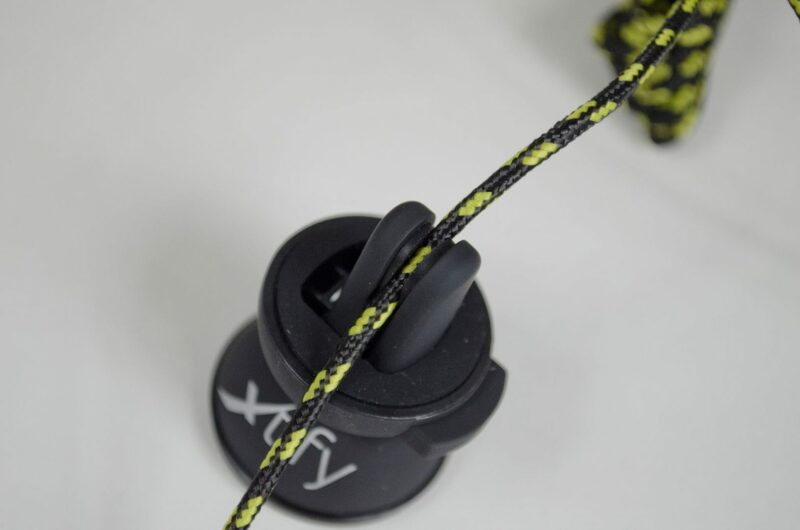 It may take you a couple of tries to get the right amount of cable on either side of the holder but once you have it perfected, you will enjoy it. 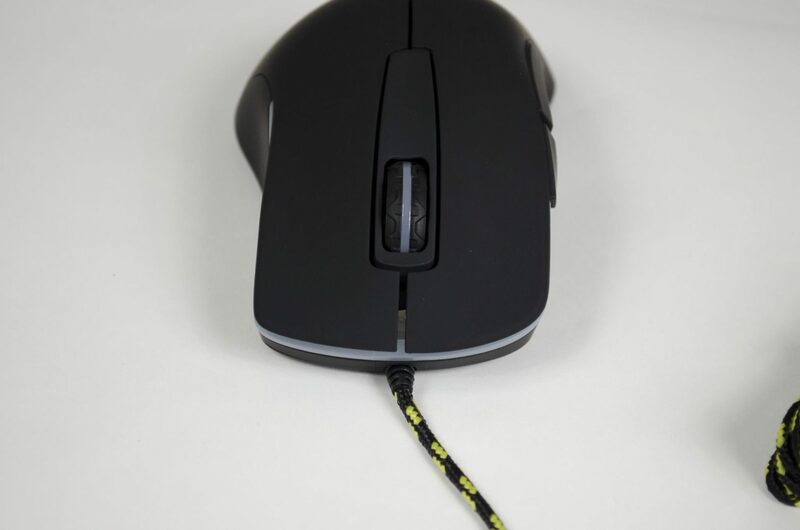 Many may not realise but dragging the cord across the back of the desk can actual impact your aim and the way the mouse moves across the surface. Below, you will see the results of my Paint test. 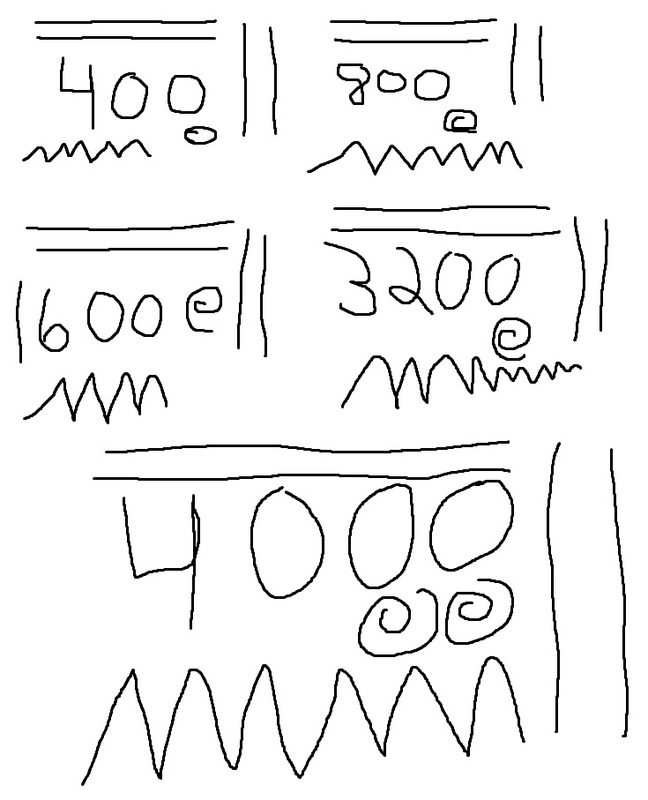 Basically, you just change the CPI/DPI and then draw a couple designs in paint. This is supposed to give you a small idea of mouse acceleration and how good the sensor is in general. However, it is easy to fake these results as if you go to your Mouse properties in Windows and change the pointer speed, it will SEVERELY change these results. The results below are from having the pointer speed at a middle setting. Again, these results are subjective to the user testing it and can also be changed by how fast you move the mouse when doing it but is a fun and quick test to show off what the mouse is made of. For the conclusion, I am going to mainly focus on the M3 mouse. 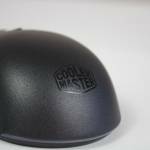 While we did show the C1 Mouse cord Holder, it is one of those products you either care for it and enjoy it, or you don’t. Either way, it doesn’t have as big an impact on your gaming though it is great if a dragging mouse cord is getting on your nerves! 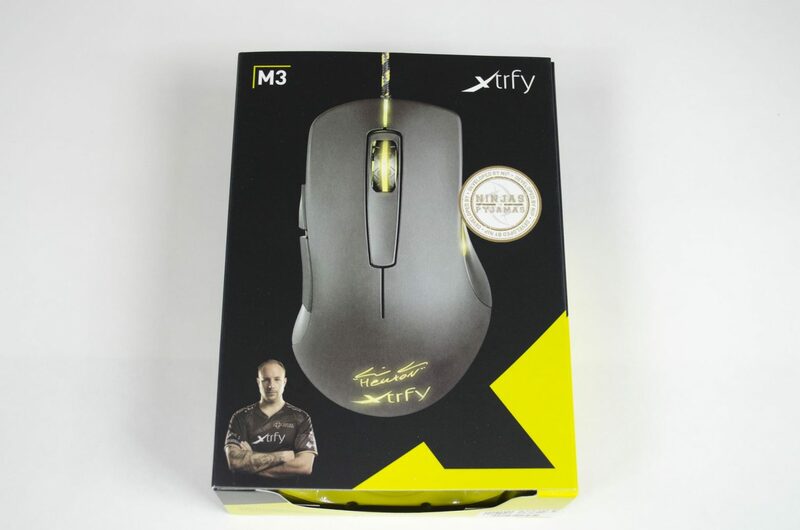 The M3 mouse was on point in all my games I played. 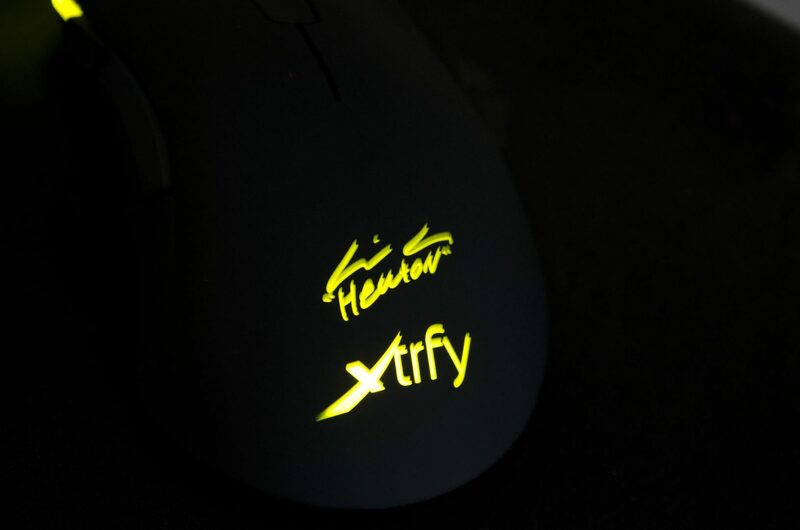 I am primarily an FPS player and HeatoN was as well and while I don’t play much CS:GO these days, the mouse is still top-notch. 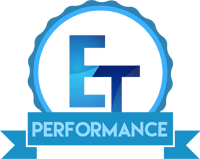 While there is a max acceleration of 30 g, the 1MS response time paired with the easy to change DPI and Polling Rates make it a winning combination. I’m currently mostly playing Battlefield 1 and I like to rotate between all the glasses which means different guns. From fully automatic, to single shot rifles and bolt action rifles, they all play a bit different but the M3 was up to the task. Once I found my desired CPI in BF1, I was off and running, quite literally! 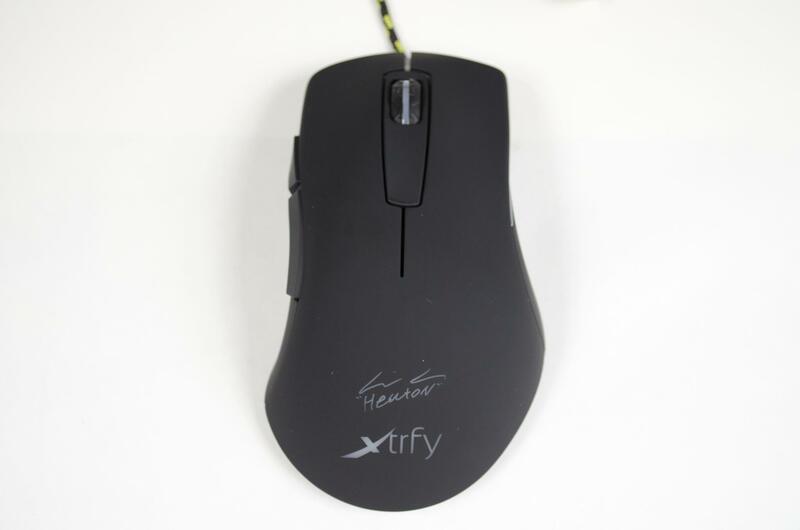 The testing I did with the drawings in Paint wasn’t the best but as said, there are a lot of contributing factors to this and I wouldn’t let it put you off at all as the M3 mouse is on point and is a great asset for any right-handed FPS player. From an external standpoint, I love the M3 HeatoN mouse. 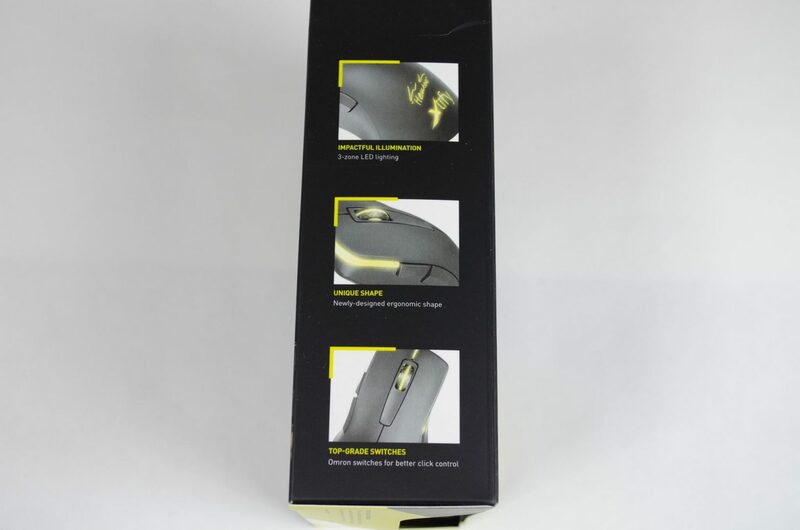 The bold yellow LEDs along with the rubberized coating not only offer a great looking mouse but the coating also allows it to be quite comfortable. 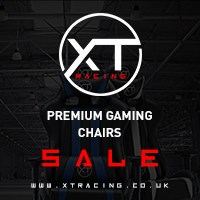 The right-handed ergonomic design is a one that will provide hours of comfort for those prolonged gaming sessions. The first time I properly used it, I went on a 4 hour BF1 marathon and didn’t have any pain or stiffness in my hand, even after all that time. 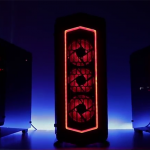 Internally we saw that the M3 is comprised of top quality parts from the Omron and Kailh switches to the Pixart Optical sensor, HeatoN and Xtrfy did a magnificent job at selecting the components. This definitely isn’t the cheapest mouse on the block and thank goodness for that. 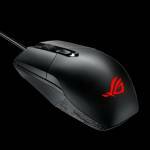 For £65 you are getting an amazing mouse. 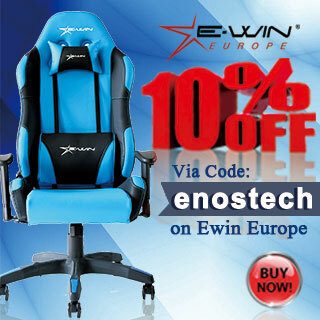 Not only does it look and perform good, it is comfortable to use for hours on end. 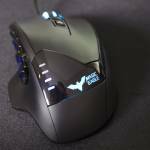 The mouse is also endorsed by a top eSports professional which does warrant a bit higher price tag whether we like it or not. 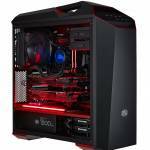 For those looking to get the most from their mouse won’t mind paying the bit higher price tag and getting the piece of mind that they have purchased a quality product that will perform as intended and will last them awhile. 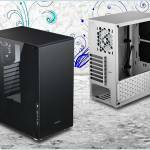 Many thanks to Overclockers UK for sending the M3 and C1 from Xtrfy in for this review!